Red wolves are one of the most endangered species on the planet. While they once thrived across the southeastern United States, there are fewer than 45 red wolves alive in the wild today. Overly aggressive predator management actions drove them to be declared biologically extinct in the wild in 1980. Restoration attempts began later that decade with the release of four pairs of wolves in North Carolina. Those wolves grew the wild population gradually to around 100 in 2014 but political interference has sandbagged recovery efforts and caused that number to drop to fewer than 45 today. This is a critical time for the future of this species as the U.S. Fish & Wildlife Service (USFWS) was supposed to release a decision last year regarding its plans for the red wolf program. It has ceased virtually all efforts to save wild red wolves, focusing on wolves in captivity. This crisis-of-political-creation has generated newfound interest in efforts to save this species. Recently, the Washington Post wrote about the status and challenges of red wolf recovery and WNYC interviewed DeLene Beeland, a science writer and author of The Secret World of Red Wolves. The USFWS holds the future of this species in its hands. It has committed resources and effort to recover this species previously and if it does so again, the Endangered Species Act can bring red wolves back. It will require that fidelity to its mission from the USFWS. 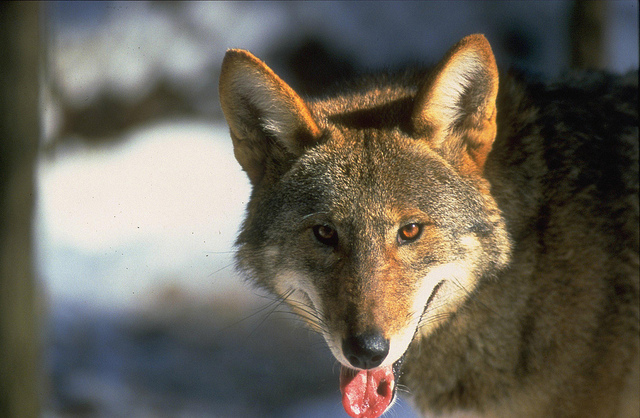 Without that, the red wolf may be relegated to surviving only in captivity and deprived of its own responsibility to balancing its ecosystems that it once roamed.